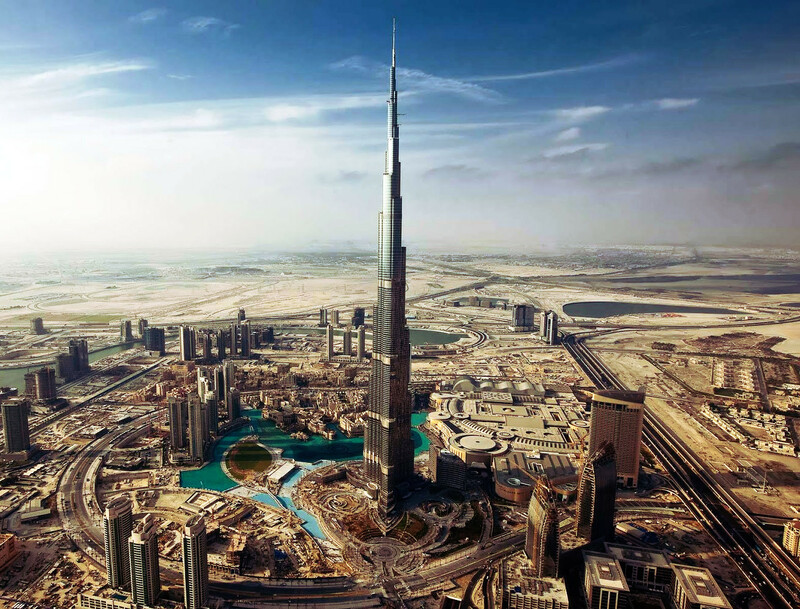 Standing at an incredible 829.8 meters (or 2722 feet), the Burj Khalifa tower in Dubai, United Arab Emirates, is the worlds tallest structure! The construction began in 2004 and was finally opened in 2010. As can be seen by the image, it towers above and beyond every other building in the city. It was designed by Adrian Smith, whose firm designed One World Trade Center. The building was as a result of the government's decision to diversify from an oil-based economy to include more of a tourism and hotel based economy. While this is one of the largest and well known buildings in the world, it is still worth noting that the construction of the building involved some controversy over the labor conditions of the many thousands of people working on the project. Regardless, the view from the very top of the building must be quite remarkable!